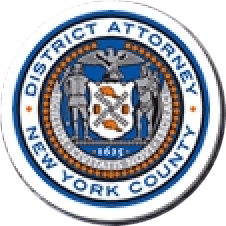 Manhattan District Attorney Cyrus R. Vance, Jr., today announced the sentencing of LUIGI ROSABIANCA, 41, a former real estate attorney, to 4-to-12 years in state prison for stealing more than $4.5 million from seven of his clients. On June 3, 2016, ROSABIANCA pleaded guilty in New York State Supreme Court to all of the charges against him: one count of Grand Larceny in the First Degree, and six counts of Grand Larceny in the Second Degree. As part of the plea, the court executed judgment orders in favor of the victims, holding ROSABIANCA liable to repay more than $2.93 million. As admitted in the defendant’s guilty plea and according to statements made on the record in court, ROSABIANCA, owner of Rosabianca & Associates, a former Lower Manhattan boutique law firm, stole more than $4.5 million from his clients by withdrawing and misappropriating funds held in his attorney escrow account and two estate accounts. Beginning in January 2013, ROSABIANCA misappropriated funds resulting from the sale of real property in which he represented either the buyer or the seller of the property, and used the money for personal expenses or to pay back money stolen from previous victims. In one instance, ROSABIANCA stole more than $630,000 in proceeds from the sale of a client’s apartment. That client had been unable to attend the closing of the real estate transaction due to his wife’s failing health. To cover his fraud, ROSABIANCA paid that client approximately $455,000 in funds that he stole from an estate whose sole heir was a woman suffering from schizophrenia and unable to care for herself. ROSABIANCA, who served as the attorney for the estate from which she stood to inherit, successfully petitioned for the schizophrenic woman to be named the administrator of the estate by representing to the Queens Surrogate’s Court that she had the mental capacity to serve as administrator. Once she became the administrator, ROSABIANCA exhausted the estate account of nearly all of its assets for his own business and personal use, including to repay the first client. In another theft in January and February of 2015, ROSABIANCA stole more than $1.75 million owed to a couple upon the sale of their apartment, and used more than $1 million of those funds to complete a separate real estate transaction. That couple is currently owed more than $1.5 million. The investigation further revealed that over the course of two years, beginning in February 2012, ROSABIANCA stole $130,000 from an estate account after being hired by an Italian client to administer the estate of her deceased uncle, who had lived in New York City. In March 2015, ROSABIANCA was suspended from the practice of law by the Departmental Disciplinary Committee, First Judicial Department, following complaints from his clients. Despite his suspension, ROSABIANCA engaged in two separate real-estate transactions while claiming to be a licensed real-estate attorney. ROSABIANCA stole from the proceeds of both of those transactions, including more than $300,000 from another client living in Italy. ROSABIANCA was ultimately disbarred in July 2015. Assistant District Attorneys William Furber and Jaime Hickey-Mendoza handled the prosecution of the case under the supervision of Assistant District Attorney Archana Rao, Principal Deputy Chief of the Financial Frauds Bureau; Assistant District Attorney Michael Sachs, Chief of the Financial Frauds Bureau; and Executive Assistant District Attorney David Szuchman, Chief of the Investigation Division. Assistant District Attorney Amyjane Rettew, Counsel to the Investigation Division, assisted with the case, as did Financial Investigator Michael Frenza, Senior Investigator Patrick Ludlow, Trial Preparation Assistant Morgan Brock-Smith, and Paralegal Julien Tunney. District Attorney Vance thanked the New York State Lawyers Fund for Client Protection for its assistance with reimbursing ROSABIANCA’s victims. The Manhattan District Attorney’s Office encourages any New Yorker who believes he or she was the victim of an attorney larceny to file a claim with the Lawyer’s Fund promptly.